Hey Sarah Palin, how is that winkey, stupidy thing working out for you? 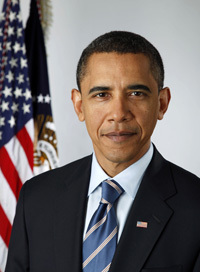 President Barack Obama will deliver the spring 2010 commencement address at the University of Michigan, President Mary Sue Coleman announced today. The ceremony will be held on May 1 in Michigan Stadium. Obama will receive an Honorary Doctor of Laws Degree, and he will be the fourth sitting president to visit U-M in Ann Arbor, following George H.W. Bush, Gerald R. Ford and Lyndon B. Johnson; former president Bill Clinton spoke at the 2007 commencement. 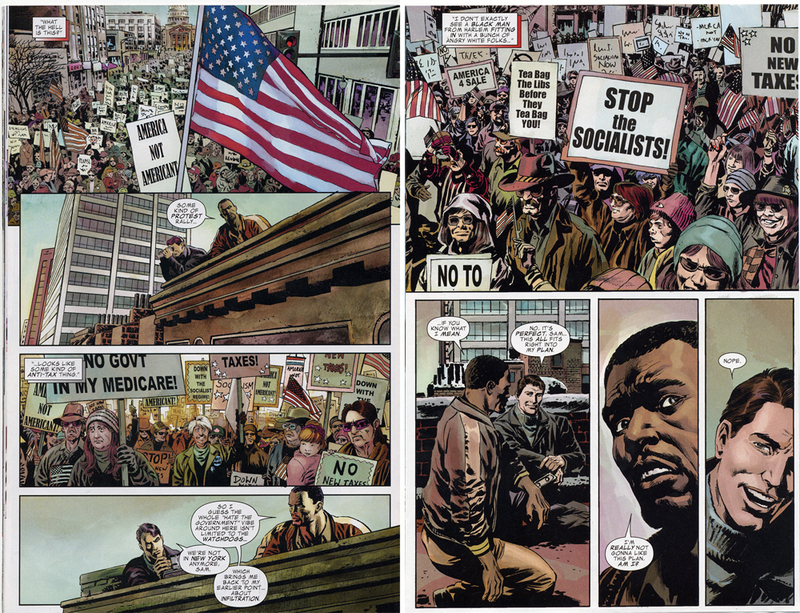 The Falcon mentions that the gathering appears to be “some kind of anti-tax protest” and notes that “this whole ‘hate the government’ vibe isn’t limited to the Watchdogs.” He then tells Captain America that he doesn’t think their plan will work because “I don’t exactly see a black man from Harlem fitting in with a bunch of angry white folks.” Captain America then explains that his plan entails sending The Falcon in among the group posing as an IRS agent under the thinking that a black government official will most certainly spark their anger. Tea Party Nation founder founder Judson Phillips was not satisfied with the apology and Marvel says that references to the Tea Party will be removed from future issues. That is a shame. I was hoping that we could count on Captain American to uphold American values and continue to fight these mindless zombies of the authoritarian right. The White House has been aggressive in responding to the distortions of Obama’s statements in an interview on executive pay. Obama discussed how CEO pay has exceeded what is deserved based upon their performance while also expressing his support for the free market system and pointing out that he does not “begrudge people success or wealth.” Such statements are necessary in light of the absurd but widespread attacks from the right that Obama is a socialist. As a result, not only are his comments being distorted by the right as we would anticipate, but many on the left are also distorting what was said. To a certain degree the fault is in the original article from Bloomberg which did not provide an entirely accurate view of the exchange. Subsequently the White House released the transcript which I included in the previous post. Bloomberg, to its credit, did highlight much of Obama’s plan to rein in excessive compensation packages. But it did so midway down the article, at a distance from the more inflammatory portions of the president’s quote. But what has White House aides even more bothered, however, is that fact that the president was simply using a tried and tested talking point only to have it treated like a major revelation. On that front, they’re right. In February 2009, Obama gave a speech on executive compensation in which he declared that, in American, “we don’t disparage wealth. We don’t begrudge anybody for achieving success. And we believe that success should be rewarded.” In March 2009, Obama told the Business Roundtable that the job of a lawmaker is “not to disparage wealth, but to expand its reach.” And in a brief statement on executive compensation in October 2009, Obama repeated the lines: “We don’t disparage wealth; we don’t begrudge anybody for doing well. We believe in success. But it does offend our values when executives of big financial firms — firms that are struggling — pay themselves huge bonuses, even as they continue to rely on taxpayer assistance to stay afloat. The President has said countless times as he did in the interview that he doesn’t ‘begrudge’ the success of Americans, but he also expressed ‘shock’ at the size of bonuses and made clear that there are a number of steps that need to be taken to change the culture of Wall Street. A sentiment he has consistently expressed since long before he took office. Obama is absolutely right that Americans don’t normally begrudge success or wealth. That’s one reason I’ve been told that middle Americans usually don’t want to jack up the top marginal tax rate — “It could be me one day,” and so forth. Obama’s also right that the kind of success and wealth achieved on Wall Street hasn’t match up with performance in the last few years. Some tweaks to bonus pay protocol would be nice to see. Liberal blogs are suffering conniption fits over the idea that Obama didn’t spend the whole interview sweating in an apoplectic rage about bonus figures. I can’t muster their indignation. Responding to a question about Goldman’s bonuses just days after its CEO converted his pay to stock and slashed it by 80 percent, Obama spoke calmly about how Wall Street’s bonus culture has misaligned incentives. Good for him. And bad on Bloomberg News for splicing his quotes suggestively.